Jason enjoyed a ‘Spring Fling’ lunch with the Holme Valley Sharing Memories Group in Holmfirth. 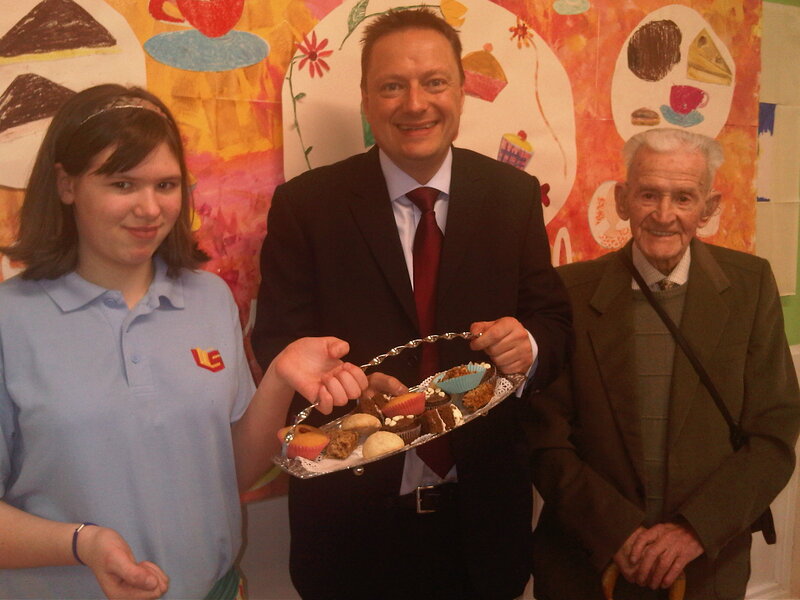 He is pictured here with 12-year-old Caitlin and 96-year-old Wilfred. The organisation gives older volunteers, including people in their 70s, 80s and 90s, the chance to engage with young people in order to share their memories, skills and artistic experience.